1. Preheat oven to 400 degrees F. Coat chicken in coating mix as directed on package. Place on foil-covered baking sheet. 2. Bake 20 minutes or until cooked through. Top with sauce and cheese. Bake an additional 5 minutes or until cheese melts. 3. While chicken is cooking, sauté red and green pepper and onion in nonstick skillet sprayed with cooking spray until tender. Stir in a few slices of hot banana pepper, if you like it spicy! 4. 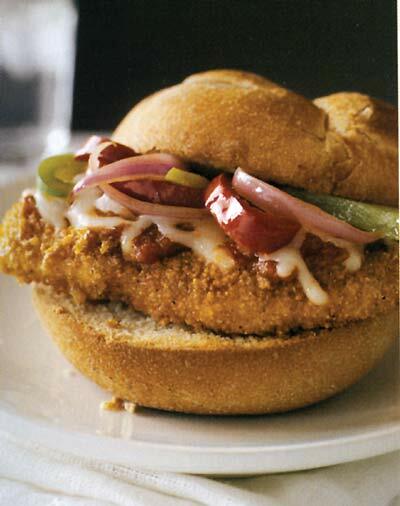 Fill buns with chicken.